Parable parabole (par-ab-ol-ay')a similitude ("parable"), i.e. (symbol.) fictitious narrative (of common life conveying a moral) parabole (par-ab-ol-ay')a. 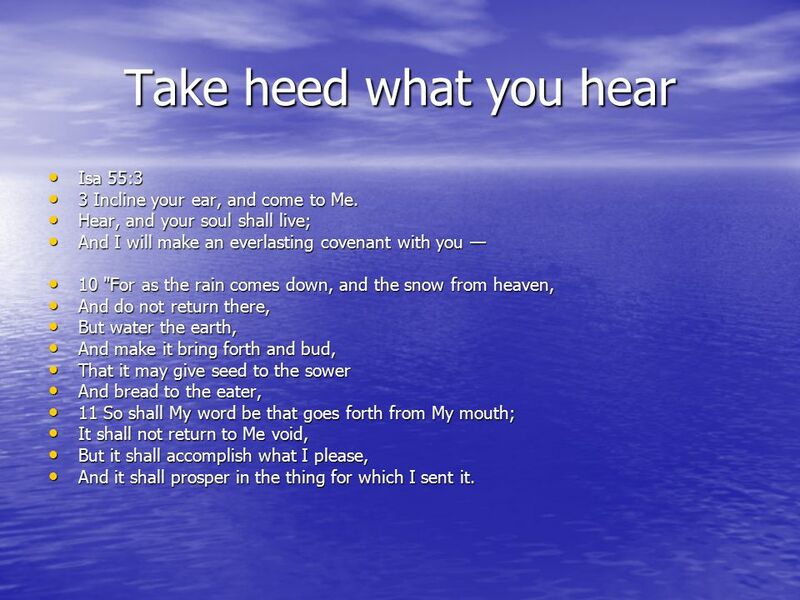 2 Take heed what you hear Isa 55:3 Isa 55:3 3 Incline your ear, and come to Me. 3 Incline your ear, and come to Me. Hear, and your soul shall live; Hear, and your soul shall live; And I will make an everlasting covenant with you — And I will make an everlasting covenant with you — 10 "For as the rain comes down, and the snow from heaven, 10 "For as the rain comes down, and the snow from heaven, And do not return there, And do not return there, But water the earth, But water the earth, And make it bring forth and bud, And make it bring forth and bud, That it may give seed to the sower That it may give seed to the sower And bread to the eater, And bread to the eater, 11 So shall My word be that goes forth from My mouth; 11 So shall My word be that goes forth from My mouth; It shall not return to Me void, It shall not return to Me void, But it shall accomplish what I please, But it shall accomplish what I please, And it shall prosper in the thing for which I sent it. And it shall prosper in the thing for which I sent it. 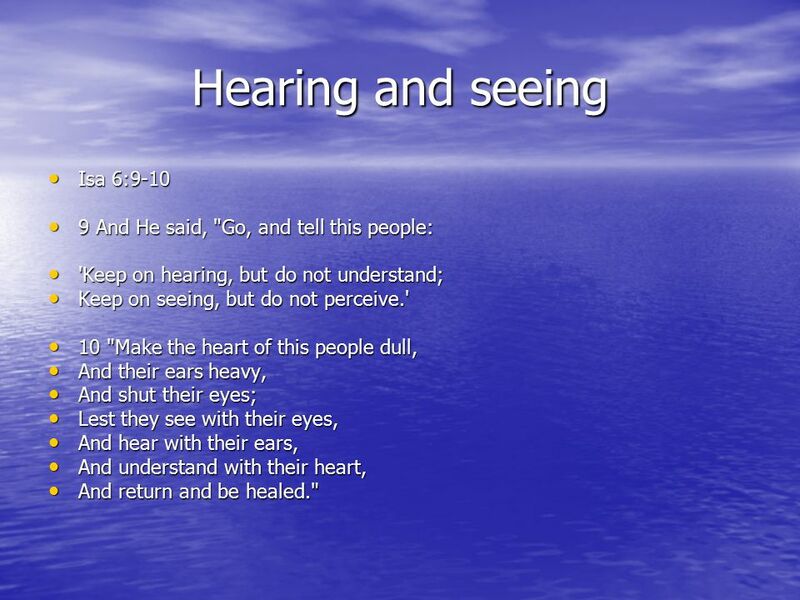 3 Hearing and seeing Isa 6:9-10 Isa 6:9-10 9 And He said, "Go, and tell this people: 9 And He said, "Go, and tell this people: 'Keep on hearing, but do not understand; 'Keep on hearing, but do not understand; Keep on seeing, but do not perceive.' Keep on seeing, but do not perceive.' 10 "Make the heart of this people dull, 10 "Make the heart of this people dull, And their ears heavy, And their ears heavy, And shut their eyes; And shut their eyes; Lest they see with their eyes, Lest they see with their eyes, And hear with their ears, And hear with their ears, And understand with their heart, And understand with their heart, And return and be healed." And return and be healed." 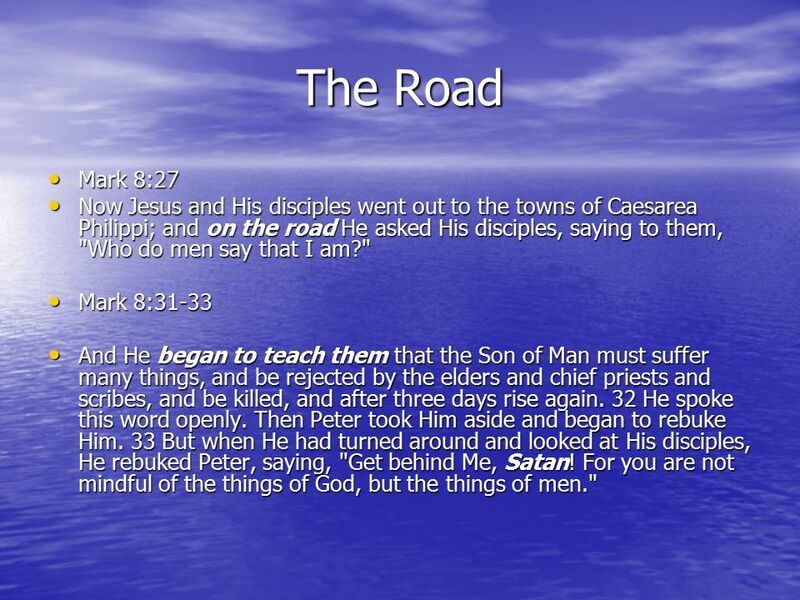 4 The Road Mark 8:27 Mark 8:27 Now Jesus and His disciples went out to the towns of Caesarea Philippi; and on the road He asked His disciples, saying to them, "Who do men say that I am?" Now Jesus and His disciples went out to the towns of Caesarea Philippi; and on the road He asked His disciples, saying to them, "Who do men say that I am?" Mark 8:31-33 Mark 8:31-33 And He began to teach them that the Son of Man must suffer many things, and be rejected by the elders and chief priests and scribes, and be killed, and after three days rise again. 32 He spoke this word openly. Then Peter took Him aside and began to rebuke Him. 33 But when He had turned around and looked at His disciples, He rebuked Peter, saying, "Get behind Me, Satan! For you are not mindful of the things of God, but the things of men." And He began to teach them that the Son of Man must suffer many things, and be rejected by the elders and chief priests and scribes, and be killed, and after three days rise again. 32 He spoke this word openly. Then Peter took Him aside and began to rebuke Him. 33 But when He had turned around and looked at His disciples, He rebuked Peter, saying, "Get behind Me, Satan! For you are not mindful of the things of God, but the things of men." 5 The stony ground Mark 14:49-52 Mark 14:49-52 49 I was daily with you in the temple teaching, and you did not seize Me. But the Scriptures must be fulfilled." 49 I was daily with you in the temple teaching, and you did not seize Me. But the Scriptures must be fulfilled." 50 Then they all forsook Him and fled. 50 Then they all forsook Him and fled. 51 A Young Man Flees Naked 51 A Young Man Flees Naked Now a certain young man followed Him, having a linen cloth thrown around his naked body. 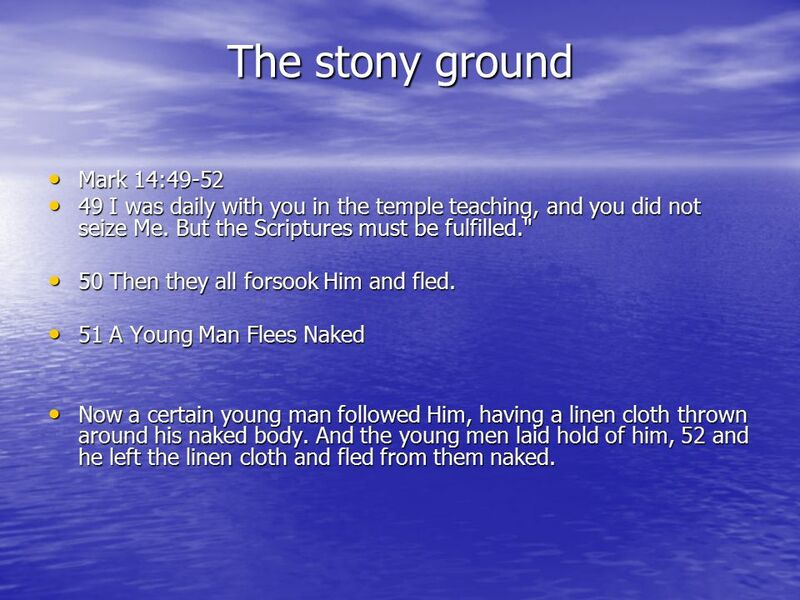 And the young men laid hold of him, 52 and he left the linen cloth and fled from them naked. Now a certain young man followed Him, having a linen cloth thrown around his naked body. And the young men laid hold of him, 52 and he left the linen cloth and fled from them naked. 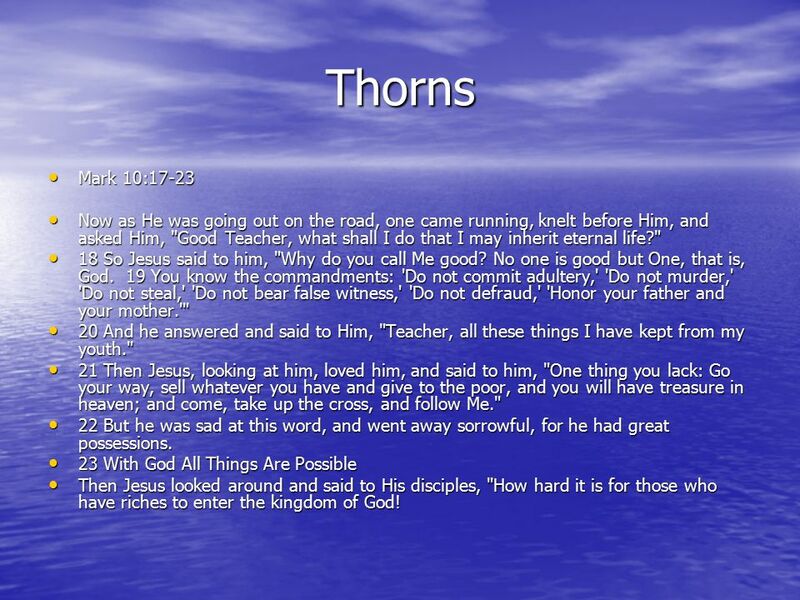 6 Thorns Mark 10:17-23 Mark 10:17-23 Now as He was going out on the road, one came running, knelt before Him, and asked Him, "Good Teacher, what shall I do that I may inherit eternal life?" Now as He was going out on the road, one came running, knelt before Him, and asked Him, "Good Teacher, what shall I do that I may inherit eternal life?" 18 So Jesus said to him, "Why do you call Me good? No one is good but One, that is, God. 19 You know the commandments: 'Do not commit adultery,' 'Do not murder,' 'Do not steal,' 'Do not bear false witness,' 'Do not defraud,' 'Honor your father and your mother.'" 18 So Jesus said to him, "Why do you call Me good? No one is good but One, that is, God. 19 You know the commandments: 'Do not commit adultery,' 'Do not murder,' 'Do not steal,' 'Do not bear false witness,' 'Do not defraud,' 'Honor your father and your mother.'" 20 And he answered and said to Him, "Teacher, all these things I have kept from my youth." 20 And he answered and said to Him, "Teacher, all these things I have kept from my youth." 21 Then Jesus, looking at him, loved him, and said to him, "One thing you lack: Go your way, sell whatever you have and give to the poor, and you will have treasure in heaven; and come, take up the cross, and follow Me." 21 Then Jesus, looking at him, loved him, and said to him, "One thing you lack: Go your way, sell whatever you have and give to the poor, and you will have treasure in heaven; and come, take up the cross, and follow Me." 22 But he was sad at this word, and went away sorrowful, for he had great possessions. 22 But he was sad at this word, and went away sorrowful, for he had great possessions. 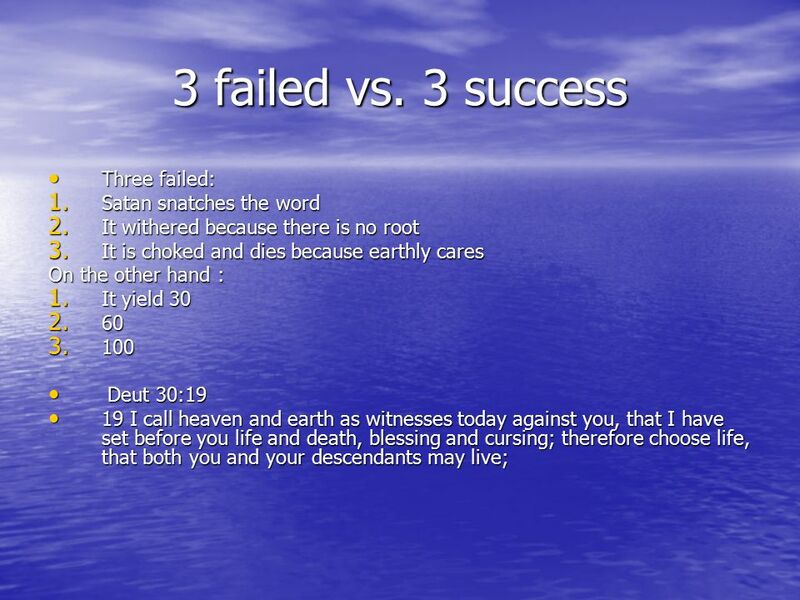 23 With God All Things Are Possible 23 With God All Things Are Possible Then Jesus looked around and said to His disciples, "How hard it is for those who have riches to enter the kingdom of God! Then Jesus looked around and said to His disciples, "How hard it is for those who have riches to enter the kingdom of God! 7 Blessed you Luke 10:21-24 Luke 10:21-24 In that hour Jesus rejoiced in the Spirit and said, "I thank You, Father, Lord of heaven and earth, that You have hidden these things from the wise and prudent and revealed them to babes. Even so, Father, for so it seemed good in Your sight. 22 All things have been delivered to Me by My Father, and no one knows who the Son is except the Father, and who the Father is except the Son, and the one to whom the Son wills to reveal Him." In that hour Jesus rejoiced in the Spirit and said, "I thank You, Father, Lord of heaven and earth, that You have hidden these things from the wise and prudent and revealed them to babes. Even so, Father, for so it seemed good in Your sight. 22 All things have been delivered to Me by My Father, and no one knows who the Son is except the Father, and who the Father is except the Son, and the one to whom the Son wills to reveal Him." 23 Then He turned to His disciples and said privately, "Blessed are the eyes which see the things you see; 24 for I tell you that many prophets and kings have desired to see what you see, and have not seen it, and to hear what you hear, and have not heard it." 23 Then He turned to His disciples and said privately, "Blessed are the eyes which see the things you see; 24 for I tell you that many prophets and kings have desired to see what you see, and have not seen it, and to hear what you hear, and have not heard it." 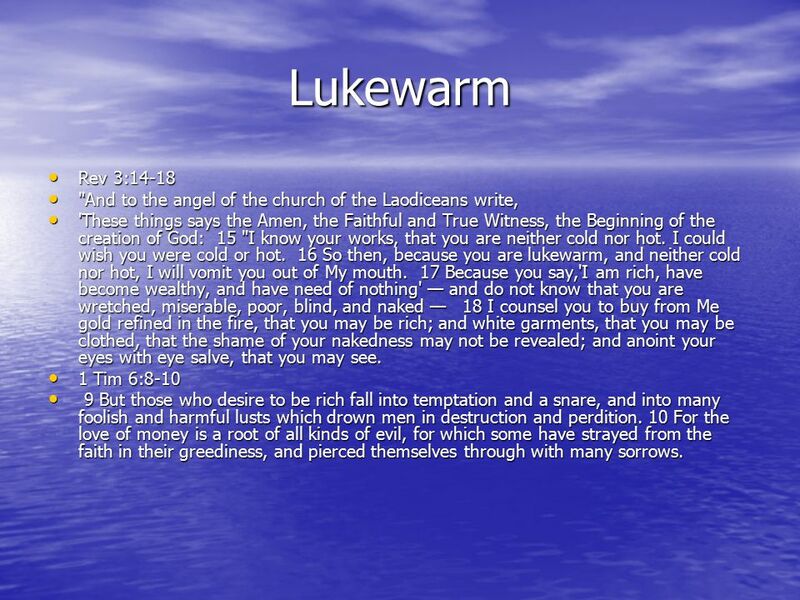 12 Lukewarm Rev 3:14-18 Rev 3:14-18 "And to the angel of the church of the Laodiceans write, "And to the angel of the church of the Laodiceans write, 'These things says the Amen, the Faithful and True Witness, the Beginning of the creation of God: 15 "I know your works, that you are neither cold nor hot. I could wish you were cold or hot. 16 So then, because you are lukewarm, and neither cold nor hot, I will vomit you out of My mouth. 17 Because you say,'I am rich, have become wealthy, and have need of nothing' — and do not know that you are wretched, miserable, poor, blind, and naked — 18 I counsel you to buy from Me gold refined in the fire, that you may be rich; and white garments, that you may be clothed, that the shame of your nakedness may not be revealed; and anoint your eyes with eye salve, that you may see. 'These things says the Amen, the Faithful and True Witness, the Beginning of the creation of God: 15 "I know your works, that you are neither cold nor hot. I could wish you were cold or hot. 16 So then, because you are lukewarm, and neither cold nor hot, I will vomit you out of My mouth. 17 Because you say,'I am rich, have become wealthy, and have need of nothing' — and do not know that you are wretched, miserable, poor, blind, and naked — 18 I counsel you to buy from Me gold refined in the fire, that you may be rich; and white garments, that you may be clothed, that the shame of your nakedness may not be revealed; and anoint your eyes with eye salve, that you may see. 1 Tim 6:8-10 1 Tim 6:8-10 9 But those who desire to be rich fall into temptation and a snare, and into many foolish and harmful lusts which drown men in destruction and perdition. 10 For the love of money is a root of all kinds of evil, for which some have strayed from the faith in their greediness, and pierced themselves through with many sorrows. 9 But those who desire to be rich fall into temptation and a snare, and into many foolish and harmful lusts which drown men in destruction and perdition. 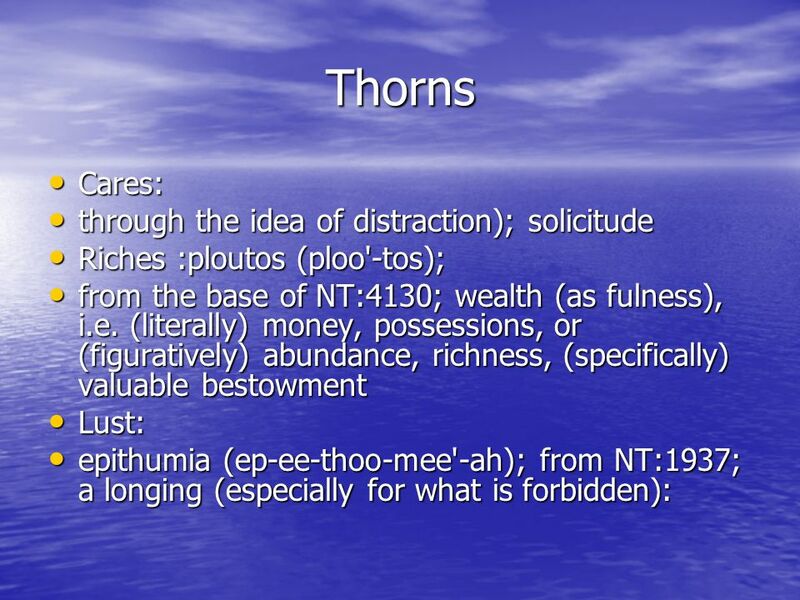 10 For the love of money is a root of all kinds of evil, for which some have strayed from the faith in their greediness, and pierced themselves through with many sorrows. 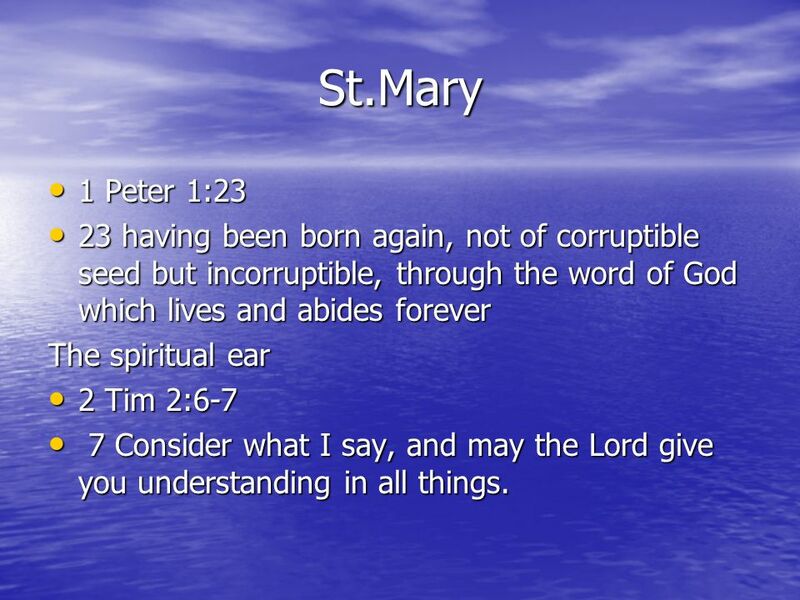 13 St.Mary 1 Peter 1:23 1 Peter 1:23 23 having been born again, not of corruptible seed but incorruptible, through the word of God which lives and abides forever 23 having been born again, not of corruptible seed but incorruptible, through the word of God which lives and abides forever The spiritual ear 2 Tim 2:6-7 2 Tim 2:6-7 7 Consider what I say, and may the Lord give you understanding in all things. 7 Consider what I say, and may the Lord give you understanding in all things. Download ppt "Parable parabole (par-ab-ol-ay')a similitude ("parable"), i.e. (symbol.) fictitious narrative (of common life conveying a moral) parabole (par-ab-ol-ay')a." Luke 10:17-18, 20-21a Then the seventy returned with joy, saying, “Lord, even the demons are subject to us in Your name.” And He said to them, “I saw Satan. Achieve or Receive? Mark 10: Little Ones to Him Belong 13 And they were bringing children to Him so that He might touch them; but the disciples. Repentance. Confession is literally “same word”- agreeing with God about our sin. 1 John 1:8–10 “If we say that we have no sin, we are deceiving ourselves. Called: Surrender or Die Pastor Rich Oertel July 6, 2014 Family Worship Center. 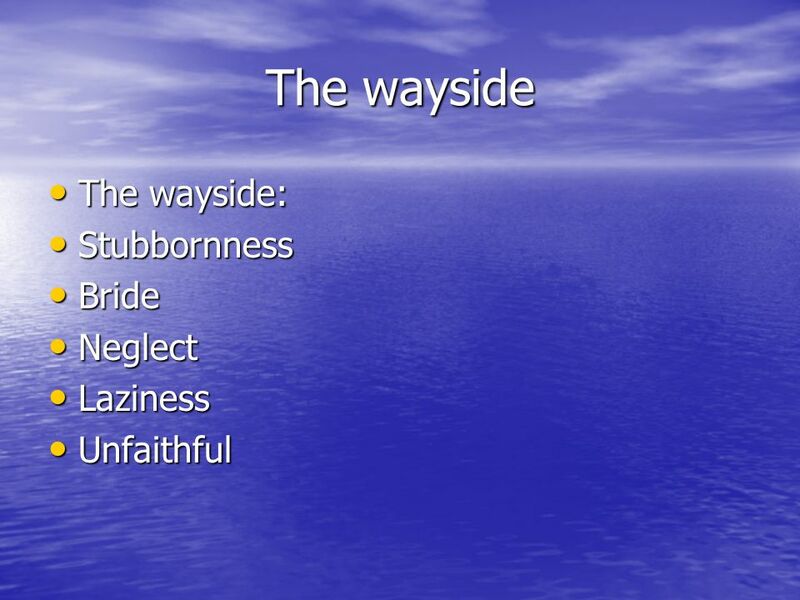 Evangelism in Biblical Counseling Ab Abercrombie, Ph.D.
6 Lessons on Worldliness from the Rich Young Ruler Mark 10:17-24. THE BIBLE, GOD’S LIVING WORD Penge Baptist Church 5 th January 2014. Wanted: Dead or Alive “It is good to speak of God today.” Thank You for coming and worshiping. Closing the door on Satan: Lesson 5 Seeing through the fog of false teaching. 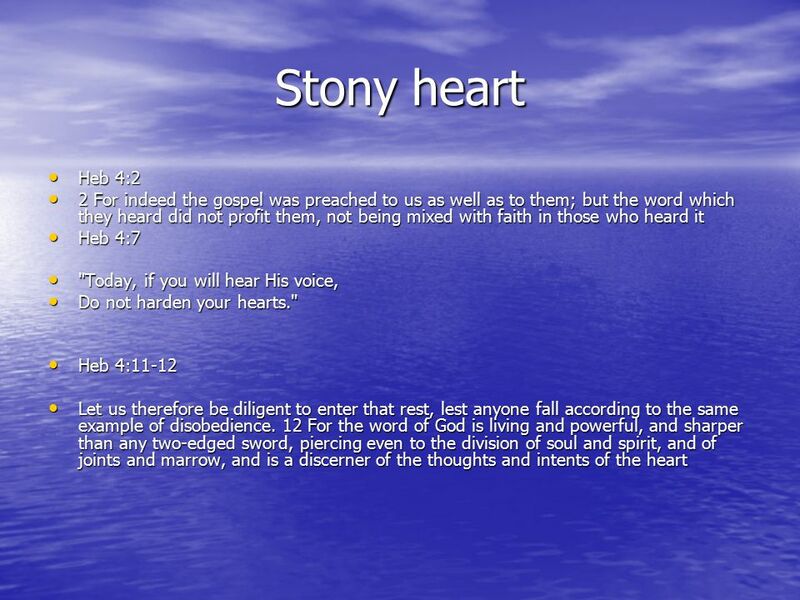 What is my heart set upon? Look at evidence. Is it set on generosity & forgiveness? To compromise means to give up some principle/demand[s] so as to come to an agreement or to maintain peace. Merritt Malloy said, “Compromise is simply. Revelation 3:14-22 Christ’s Message to Laodicea 0 Christ’s Address to the Church in Laodicea by Eric Douma Gospel of Grace Fellowship October 26, 2014.